HR professionals (and indeed any businesses that employ staff) live and act within the employment law framework. Some laws are sensible, others are bureaucratic and others just plain unhelpful. So in one sense, the Government’s new Trade Union Bill is just another piece of legislation that we’ll have to live with, whatever your view of it. And since Bills are often modified before they become Acts, it’s the final version we need to worry about rather than the first draft. However, the planned aim of the bill is one that should cause concern for the (ever-dwindling) band of HR people who work in unionised environments and who will be at the sharp end of its consequences. 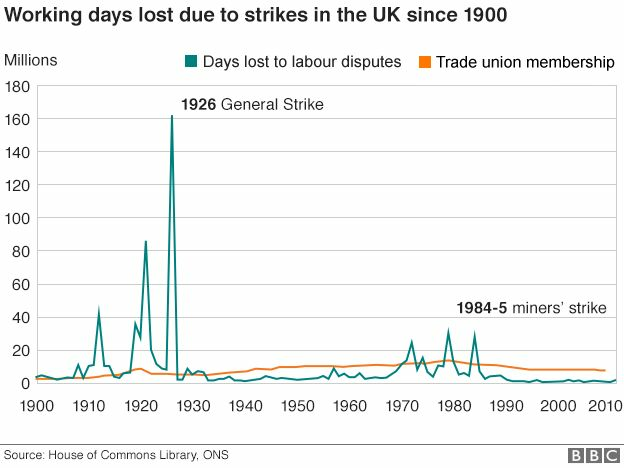 Firstly, it ignores the fact that if a union is threatening a strike (something in itself which is pretty rare these days) it’s a signal that you have a serious problem in your business. You may be convinced that the change you need to make is correct but you haven’t convinced your staff or their representatives of it. Imposing your will on reluctant employees is not generally going to make something happen effectively, as anyone who’s ever tried to manage any sort of change in a business will know. Secondly, trying to tie things up in legal knots is not a long-term strategy. It may be a tactic that you wish to employ on occasion but it’s not going to solve the underlying issue. (And if you want an analogy, the current immigration rules for non-EU workers are so complex that many companies just won’t bother to try and recruit someone from overseas. But has it solved the problem of a shortage of skills among UK workers? Not according to this from bosses’ organisation the CBI). And thirdly, it simply sets up an environment where “low-level” activity becomes the norm. Staff won’t strike but might decide not to bother with voluntary overtime; sickness levels will go up; grievances will increase, as will issues around health and safety, while Union reps will become uncooperative when we need those “off the record” conversations with them. That may not attract the headlines or create short-term inconvenience for customers, but it will lead to a less efficient and less effective business in the long term. One of the first things I learnt from a seasoned industrial relations manager nearly 30 years ago was “you always let your opponent take something away from a negotiation – humiliating them leaves them angry and they’ll seek revenge in the future”. It’s a mistake the miners made in the 1970s, and on a larger scale it may turn out to be a mistake made by the Eurozone in relation to Greece. To return to a theme of earlier posts like this and this, creating conditions where employers can treating employees as disposable is not a recipe for sustainable business success. A very unfashionable view Simon, as you can imagine I couldn’t possibly comment.